Gabriel Jesus, Manchester City’s soccer star, has extended his personal endorsement deal with Adidas. The Brazilian player started the partnership when he was only 17 years old. The length of the extension nor the financial terms have been announced. According to ESPN, we will soon see a cup competition between Liga MX and MLS clubs. The tournament would involve four teams from MLS and four from Liga MX, running in the second half of 2019. Inter Miami FC has selected London-based KIN Partners as its exclusive sponsorship sales representation agency. KIN will be identifying and developing sponsorship opportunities for David Beckham’s MLS franchise. “Miami is recognized as a global city with a mix of wonderful cultures and we cannot wait to start working with both the vastly impressive ownership group and one of the most exciting properties in world sports today,” Matthew Kay, head of KIN, stated. The Seattle Sounders have rebranded its United Soccer League (USL) side, as part of a collaboration with MLB team Tacoma Rainiers. The move to Tacoma sees the 2014 and 2015 back-to-back NWSL Shield winners rebrand as Reign FC. “The addition of Reign FC to Tacoma matters, and shows the power behind great partnerships,” said Tacoma Rainiers’ president Aaron Artman. OTT streaming platform LaLigaTV has been renamed as LaLigaSportsTV as part of a strategic change. As part of a new three-year project, La Liga is looking to change the sponsorship model of the OTT service and increase its sponsorship revenues. The Portada Brand-Sports Summit in Los Angeles on March 15, 2019 (Hotel Loews Santa Monica) will provide a unique setting for brand marketers to learn about the opportunities sports and soccer content offers to engage consumers in the U.S. and Latin America. The Atlético Madrid has signed a new sponsorship deal with Latin-American financial institution North International Bank (NIBank). 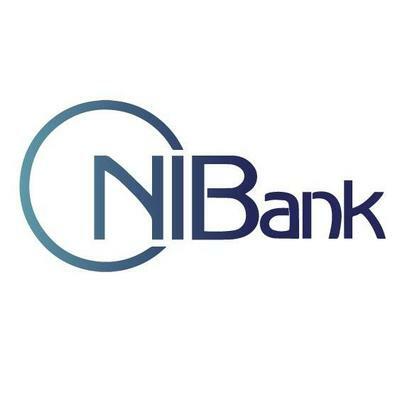 The partnership will leverage NIBank’s license to develop and commercialize Mastercard and UnionPay International cards by using Atléti’s profile to boost the placement, use, and benefits of those cards. The key objective of the four-year deal is to strengthen and innovate North International’s Caribbean Bank brand through association with the La Liga club. "The purpose of developing payment instruments with the image of the Spanish football club is to strengthen the relationship with the Rojiblancos fans in the region," stated Jordán Silva Tugues, NIBank chairman. The Confederation of North, Central America and Caribbean Association Football (CONCACAF) announced a multiyear agreement with OEG Sports as its global master licensee and licensing agent for consumer products. The rights deal makes OEG Sports the first official and exclusive master licensee and licensing agent of Concacaf through 2022.